To ensure the excellent quality of the products, REIZ has introduced modern production lines, advanced research equipment, precise testing instruments and rigorous inspection system. Reiz commits in providing highly effective premium beauty solutions that are safe to use. REIZ has successfully developed the safest and the most efficient formula. 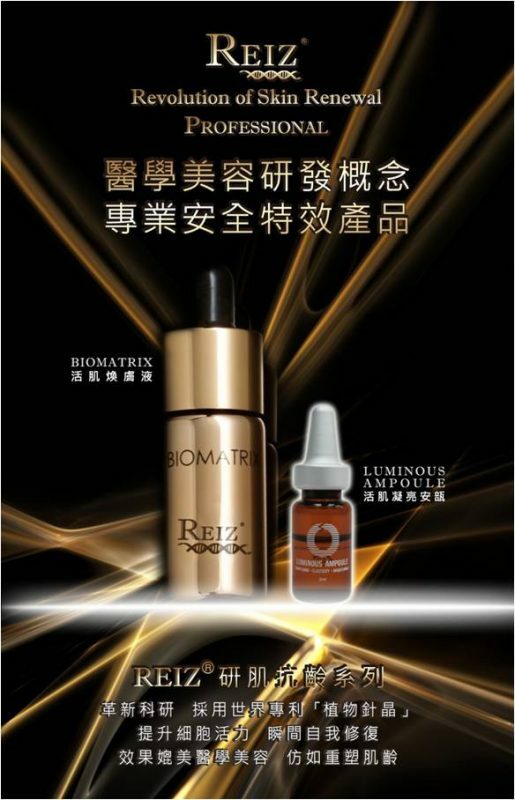 Today, REIZ has become a world-renowned brand, with their products well acclaimed by many domestic and international medical cosmetological users. REIZ ReSurfacing Solution made out of the exclusive formula with “Bio-microneedle” technology that is derived from rare plants. Its Bio-microneedles penetrates into dermis layer instantly and safely in order to activate cells self-defensive system for the effective results in whitening, depigmentation, firming, pores shrinking, cells self-healing, boosting cells metabolism to promote skin glow, collagen and elastin regeneration. A safe and direct way to penetrate serum into micro-channels without causing wounds, skin infection, skin irritation etc to epidermis layer unlike the traditional MTS. Precedent whitening products. It is an advanced lightening and elasticity kit designed to regain skins inherent luminosity. An array of light-transformation benefits uniquely empowers skin by correcting yellowish, dull and uneven skin tones. The treatment is further augmented with a complex of 4 intensive active ingredients that target existing melanin and prevent future discoloration. Acting on 3 important levels: The complex targets the root source by preventing melanin before synthesis, treating melanin during synthesis and reducing melanin after synthesis. This revolutionary 3 dimensional approach strongly inhibits melanin via the 3 respective pathways in the melanin cascade.